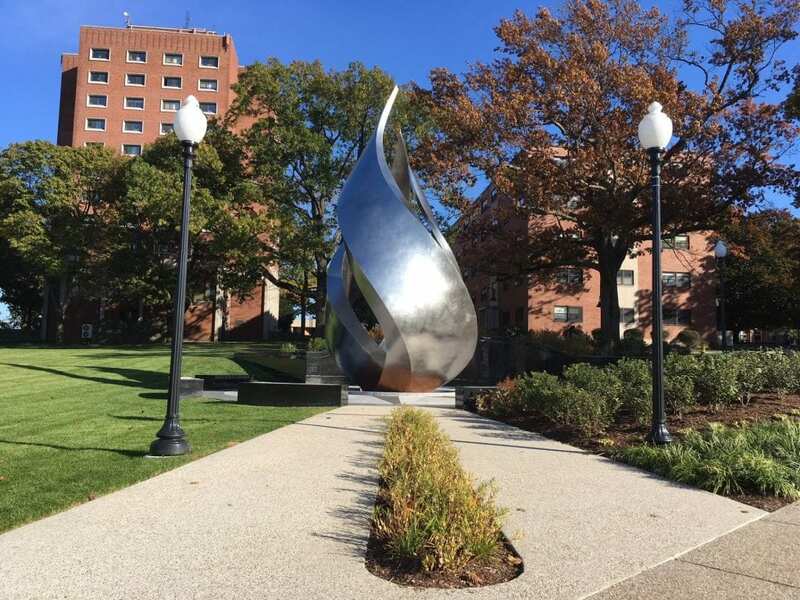 The physical manifestation of Providence College’s motto, Veritas, the Calabria Plaza is an inspiring and dynamic gathering point at the nexus of some of the College’s busiest buildings. 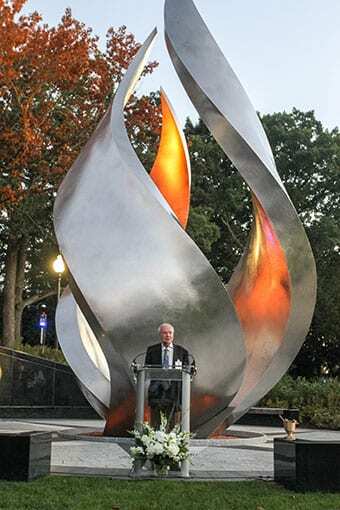 Its centerpiece is a 33-foot tall stainless steel statue depicting a torch – a significant symbol for both Providence College and the Dominican Order of Preachers. 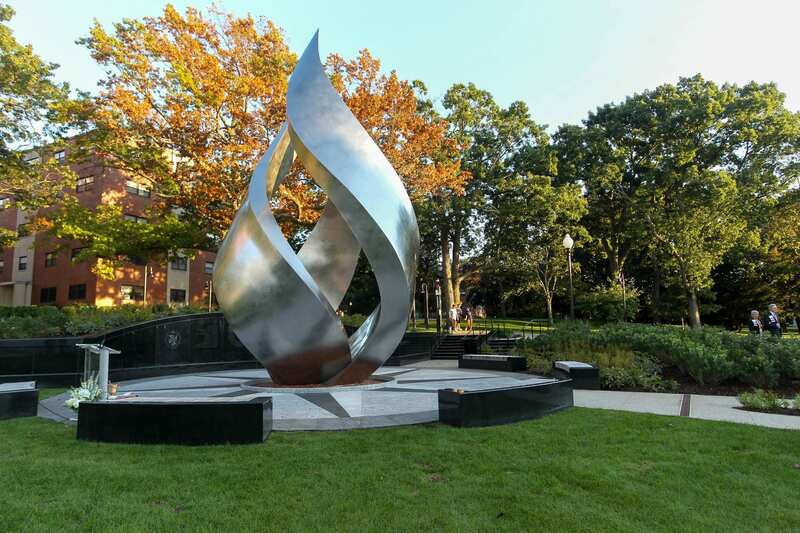 The torch is surrounded by a black granite plaza, upon which is engraved the names of the Dominican saints, the words of the College’s Alma Mater, and the College seals. 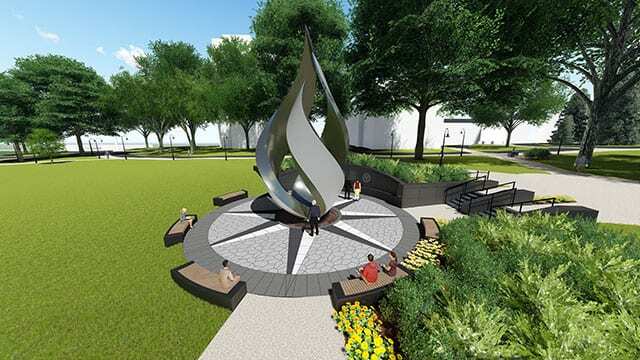 Construction of the plaza was completed in 2018.